← How will social trends impact transport? Systems with electrified roads are a relatively new concept and many projects have been launched in recent years. To stimulate the transfer of knowledge and collaboration, the Research and Innovation Platform for Electric Roads arranged its second International Conference on Electric Road Systems in June. 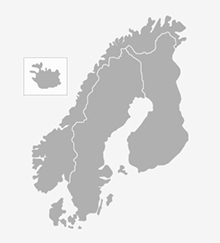 This year’s conference was held in Arlanda City, Stockholm, Sweden. The conference ended with a demonstration of the stretch of electric road that was inaugurated in April this year by the project eRoadArlanda. The two kilometres of electric rail have been laid on public road 893, between Arlanda’s cargo terminal and the Rosersberg logistics area outside Stockholm. The electric road transfers energy to the vehicle from the rail in the road via a movable arm. The conference brought together 110 decision-makers, researchers and experts within the field to disseminate and share knowledge and pilot projects. 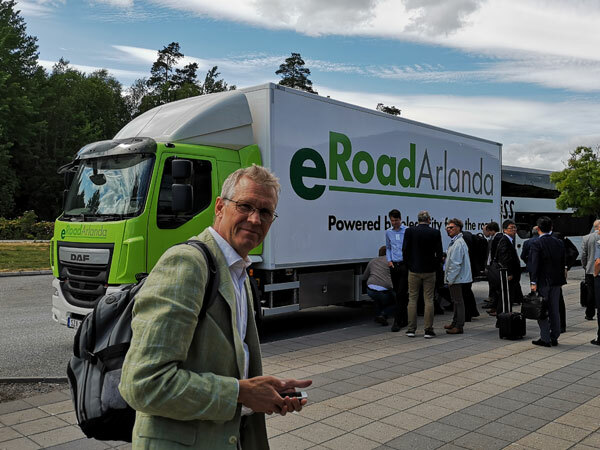 “The conference is a fantastic venue for stimulating new collaborations and disseminating knowledge on electric roads as a sustainable solution for transport,” says Arne Nåbo, Research Director at VTI and deputy project manager for the Research and Innovation Platform for Electric Roads. The theme for the 2018 electric road conference was organisation and business models surrounding electric road systems. Over the course of 22 presentations in total, the following topics were discussed: decision-making processes and actors, energy and environment, tests and demonstrations, and networking and implementation on a large scale. The Research and Innovation Platform for Electric Roads consists of Chalmers, KTH, the Norwegian Centre for Transport Research, VTI, the Swedish Transport Administration and RISE Viktoria. The industry partners are Fortum, Profu, Scania, Vattenfall and Volvo Group. This entry was posted in Conference, Energy and Fuel, Infrastructure, Vehicles and tagged conference, electric road systems, electric roads, eroadarlanda. Bookmark the permalink.